Improved ability to cross-sell. The Salesfundaa CRM software enables you to know about your clients' needs and wants. The better able you are to provide the solution to their next problem. Increased team collaboration. The Salesfundaa CRM software nurtures the spirit of teamwork as data can be shared from a centralised platform. Improved efficiency in serving clients. It has now become easy for anyone to be able to serve the client with the knowledge of what has been previously discussed with the client as everyone is using the Salesfundaa CRM software to report client interactions. Greater staff satisfaction. The Salesfundaa CRM software is an accurate and up-to-date CRM that gives multiple user options and every one can access. Your employees are empowered and better engaged by accurate knowledge. So it gives the ease of helping employees solve client problems with team support and render prompt client satisfaction. This often establishes a rapport between the employee and client and instills trust. Increased revenue and profitability. Due to the easy to use interface of Salesfundaa CRM software productivity increases, the gap in sales cycles decrease, you have the ability to provide additional products and services to clients and client satisfaction increases. 6. Cost savings. Over time the benefits leverage the costs. Members of the sales team are able to better schedule meetings with prospects in the same geographic area. Customer service are better able to resolve a client's concern. Everyone can access a client and prospect database on a central platform instead of separate spreadsheet or contact database on their computer which is now deemed obsolete. Finally, it is important to select a vendor. He should have a proven track record and reputation whom you can trust. Very importantly you can read online reviews for Salesfundaa CRM software and check out social networks for feedback and comments on its other products. Its websites host in-depth reviews of other software modules that include close analysis of the features, training, and support. If you want to know how other organizations are using the CRM system you can check out the the customer feedback on the Salesfundaa websites. 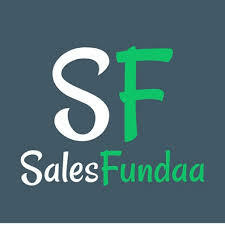 You can get references and current users of the Salesfundaa CRM software can be contacted for strengths and drawbacks, the quality of customer support and other details. Existing customers also tell you about the its services, responsiveness, and up-time rate. This will influence your purchase decision that works around cost savings and expected enhancements. You will be right on target in finding the suitable CRM application that delivers the advantages and benefits your company needs and it will be worth the time invested in research and analysis . Call 9235 35 35 35 to get your Salesfundaa CRM business Advantage today.